During the last 40+ years, countless machinists have relied on Hurco vertical mills to get the job done. From our first MB1 to the Hawk and BMCs of the past—many of which are still going strong decades later—we have the expertise that only comes from experience. But every builder says their vertical machining centers are the best. 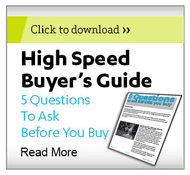 Why should you choose a Hurco CNC mill? See below. No other control gets you from print to part faster. Ergonomically designed machine tools built tough. We make high mix/low volume profitable. U.S. company with all design, research & development in the USA. We’ve seen it all. We have expertise that only comes from experience. The CNC part of the CNC machining center is what sets us apart from every other builder. Our engineering team focuses on customer profitability when it comes to control technology. 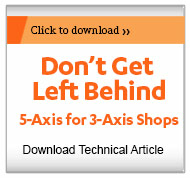 Will this feature save time, eliminate steps, improve cycle time, optimize machining cycles? If you are a Hurco customer, you already understand the benefits of the Hurco machining center’s control. If you're new to Hurco, there are three main points you need to know about our control. Our control supports NC and conversational equally well. 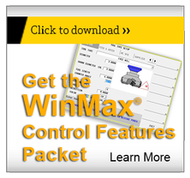 While we're known for our conversational programming, the NC side of our control is as good as any in the industry with complete compatibility with the most utilized CAM systems and comprehensive FANUC integration. We are the experts. Our founder invented conversational. Growing up in his grandfather’s machine shop, he realized in the 1960s that the emerging computer boom could be used to make the job of a machinist more efficient. 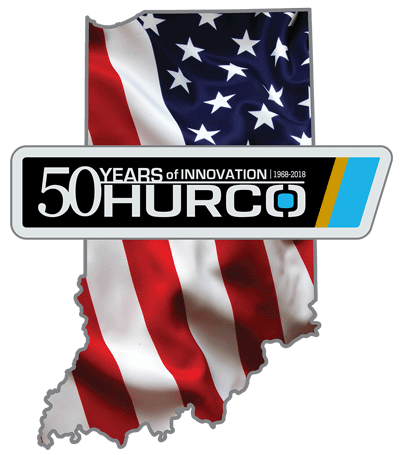 Hurco was founded in Indianapolis in 1968, and we have the same mission today as our founder did all those years ago. With more than 80 patents, we continue to lead innovation that leverages technology to make machinists more productive and shops more profitable. Easy to learn. Easy to use. We have the most intuitive user interface and logical software in the industry, which means less training time and the ability to hire from a wider pool of applicants. We invented conversational programming and have continually led the industry to advance control technology that helps machinists be more productive. While the design details that increase productivity for every customer who owns a Hurco vertical machining center are pronounced, they aren't always noticeable at first glance. As a company, our focus is to minimize all operations that occur out of the cut—reduce programming time with our world renowned control, reduce cleanup time, and reduce overall setup. Below, are a few examples of design details that set us apart. All of our VMCs have wider tables than most, but the ergonomic advantage is the fact that we took the time to design the machine so the table moves completely forward in the cube for easy operator access. While many control consoles are flat, we tilt ours to minimize glare and make sure the buttons are big with logical labels. Our washdown system saves time and eliminates costly cleanup. The coolant ring has adjustable nozzles and we strategically locate our washdown nozzles and make them adjustable. All Hurco VMCs have a dedicated pump system and sloped telescopic way covers to protect the VMC’s internal components. The most challenging business proposition for shops these days is figuring out how to stay competitive when you produce a high mix of parts in smaller batches. With the advent of Just In Time (JIT), your customers continually want to minimize inventory, which means they rely on you to make the parts as they need them. At Hurco, it’s our job to make CNC vertical machining centers that help you stay profitable while exceeding your customers’ expectations. In addition to the machine attributes highlighted below, a Hurco CNC mill offers multiple design features that put them above the rest. Table width. Our table width extends across the entire Y-axis to support a wide range of part sizes. Work envelope. Our efficient design expertise results in bigger work cubes. Large doors. To support high mix, we have larger door openings than other brands. The large opening on the front of our vertical machining centers gives you more room to load and unload and facilitates easy overhead crane access to load large, heavy parts or fixtures. The oversized side doors are hinged, easy to open, and easy to remove. 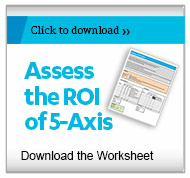 In the machine tool world, we had a similar realization as our company went through a growth spurt. We needed to focus on our core competencies. Like Apple, we are a U.S. company that is traded on the stock exchange (HURC). Like Apple, we conduct all engineering, product development, and R & D in the USA. Like Apple, we collaborate with key partners in our industry from design concept through manufacturing. We don’t simply source components, we partner with organizations that are the best at what they do—like Yaskawa, a leader in motion control, and the highly regarded Bosch Rexroth. Unlike Apple, we don’t outsource our manufacturing because we’re not talking about gadgets and music players—we’re talking about capital equipment that our customers rely on for their livelihood. Therefore, we conduct all manufacturing at our wholly owned subsidiaries throughout Asia. From a strategic standpoint, manufacturing overseas makes sense because 90% of the machine tool market is outside of North America. This strategy benefits our customers because we are able to ship our machine tools with shorter lead times than most competitors. Our corporate agility promotes financial stability, which means we are able to continue developing control technology and machining centers during the worst of economic conditions. Additionally, our focus on minimizing non-product expenses, makes it feasible for us to manufacture vertical machining centers with premium components, such as larger linear rails and dual wound spindles with ceramic bearings, at a competitive price. We’re not the cheapest VMC on the market, but we don’t want to be. Our first machining center was the MB1. After that, we were hooked. Our control capabilities combined with the design and manufacture of VMCs is the heart of our company. Our experience means our customers can count on the most versatile VMC with the most advanced control technology to help them stay competitive. Historically, our customers have manufactured parts for the automotive, aerospace, medical equipment, energy, injection tool and molding, transportation and computer equipment industries. Global pressures have had a dramatic impact on these traditional markets. We understand that our customers must adapt, expand their customer base, and meet ever increasing demands of their customers in order to compete. Our VMCs give our customers the ability to eliminate process steps and increase efficiency during the 60% of non-cut time that accompanies most jobs. We are especially adept at producing vertical machining centers that allow customers to efficiently produce a high mix of parts at lower volumes profitably. Our control, software and machine design are driven by our customers’ success. Maybe the greatest benefit of our VMC experience is the collaborative relationships we have developed with our customers. We continually work with them to identify even greater process efficiencies, understanding that our success is dependent upon their success. If you realize you need more than a spindle and a simple NC controller to be successful in today’s market, you’re in the right place. The praise we receive from our customers continues to inspire and motivate us to make the best vertical machining centers in the industry. “We would not be the company we are today if it wasn’t for Hurco.”—John Gregorich, Owner, Gregor Technologies, established 1989, 25% annual growth rate from 1996-2011.